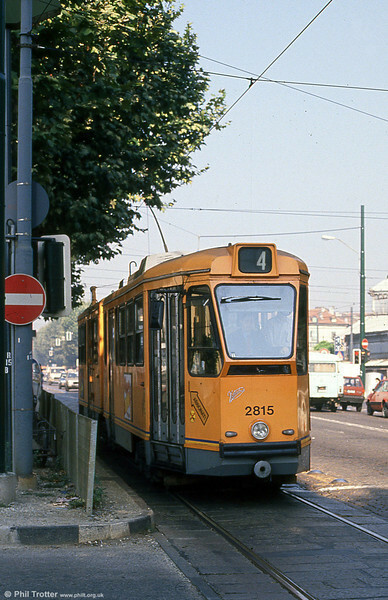 Turin/Torino has a relatively large tramway system, which started operations in 1872, one of the first in Italy. Electrification came in the 1890s. Over the years the system has shrunk, like many Italian systems. Car 2815 at Corso Regina Margherita on 5th September 1989.